When Ranulph de Glanville and his wife, Bertha, planned their first monastery they had a number of properties in east Suffolk to choose from. One, part of Bertha’s dowry from her wealthy father, Theobald de Valoines, was ideal. It lay in the Hundred of Plomesgate on the overland coastal route from the port of Ipswich to the king’s new castle at Orford. Orford was set to develop rapidly as a port and haven. On a practical level Butley Creek would enable building stone to be brought close to the site, whilst proximity to both salt and fresh water would guarantee fish, a staple protein in a monastic diet. priests, known as Black Canons, living under rules laid down by St Augustine. 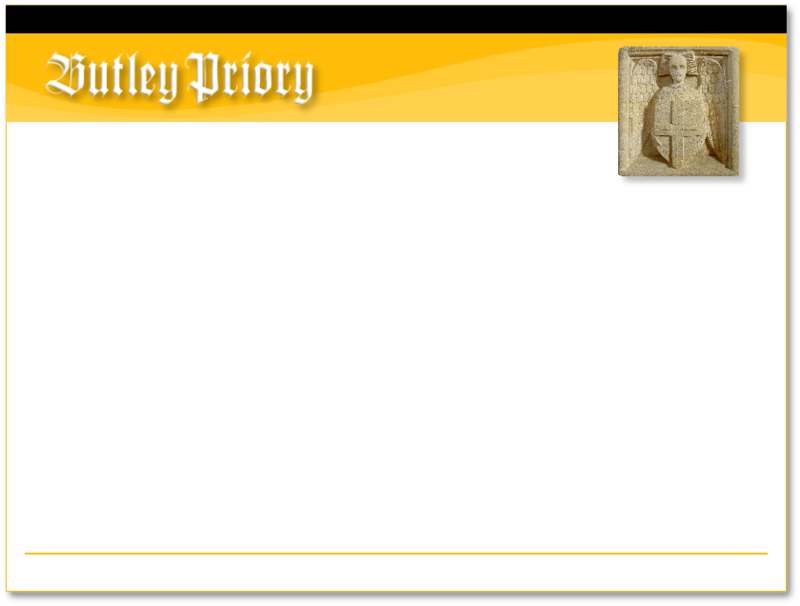 It was Ranulph’s vision that Butley Priory would house 36 canons. For this reason, the buildings were planned on a large scale. Their church was to become the second largest in Suffolk. 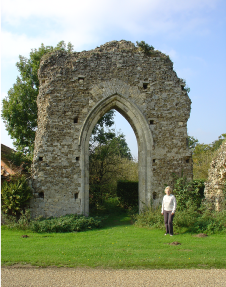 In Butley the only visible clues to its former existence are a single arch, visible from the bend in the road by Abbey Farm, and a few fragments of masonry, now scattered in village gardens or incorporated in old flint walls.